In our modern world where a good transportation network and an effective communication system are two important factors necessary for the growth of any community, the need for more accessible cities which cater for these needs optimally while also taking into consideration, the economic side of things cannot be overemphasised. It therefore no longer news why the 55 Billion pounds project, the High Speed Two (HS2), has been a hot topic to the people of Britain since the commencement of the project. 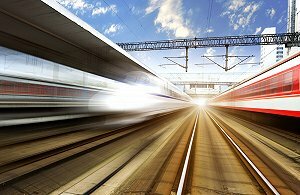 By the completion of the colossal High Speed Two (HS2) project, several cities in the heart of Britain would have access to a high-speed rail network with almost 15,000 seats an hour on these 400m-long trains between London, Manchester, Birmingham, and Leeds which trebles the current capacity. While the HS2 project is expected to be executed in two phases, with Phase 1 being expected to span London to the West Midlands and Phase 2, from the West Midlands to Leeds and Manchester with an estimated date of completion being 2026 and 2033 respectively, work on the project is well underway to connect London to Birmingham. The most noticeable change around the Euston Station would be the hoarding beyond which extensive work is being done. The Ibis and Thistle hotels are already under demolition, with other surrounding buildings such as the Richard Seifort towers already marked for same. This is to create area for six new High Speed Two platforms. Invariably, it is expected that the old Euston station would probably be one of the last buildings in the area to be pulled down. Although it might not have been listed, we can only hope that this outdated model which have served for more than a century would give way for modern, 21st century developments. Another of the most noticeable changes around the Euston area is the development of a new taxi rank to take over the current ones which lay in destruction's path, located right underneath the Richard Seifort towers. This comes as a necessity because once the current taxi rank finally gets demolished, cab seekers would most likely get stranded with regards to finding a better spot to hail taxis from, hence the importance of this. Previously a public park with basketball courts and mature trees – the site which was the former St James's burial ground – holding no less than 45,000 bones according to archaeologists, is expected to be levelled and the bones to be reburied elsewhere under the supervision of the Church of England. This has been a controversial subject of discussion because this happens to be the final resting place of some notable figures such as legendary boxer Tom Cribb, Lord George Gordon, Captain Matthew Flinders to mention a few. As the Euston Station area continues its transformation process, we can only hope to discover more about how the HS2 plays into reality and drives forward its promise of increased economic prosperity to areas where the fast rail network would be located. Already, the H2S project has been predicted to support 15,000 jobs by 2020, and the current transformation being experienced at the project site further magnifies how close the project is to achieving that milestone.